The United States and Bangladesh share a long history of partnership, cooperation, and friendship. USAID has particularly deep roots in Bangladesh. While I was in Dhaka last month, several Bangladeshis told me that they remember the days, immediately after independence in 1971, when they received food aid with the USAID logo on it. Things have changed since then: Bangladesh has experienced enormous growth, and is committed to becoming a middle-income country by 2021. The United States stands with Bangladesh on its development journey, and we will continue to work closely together on global health and food security, as well as economic development and democratic governance. Of course, we are also collaborating to address an on-going tragedy, as I saw firsthand on my trip to the country in May. 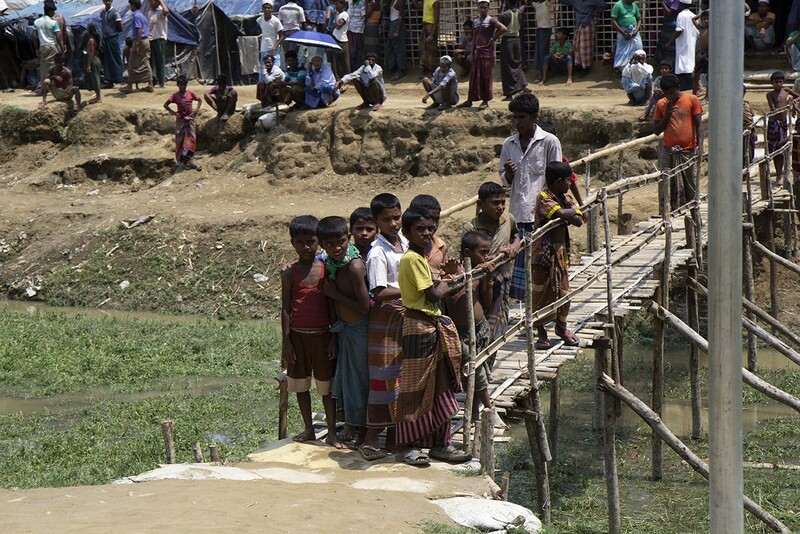 Since August 25, 2017, more than 700,000 people have fled ethnic violence in Burma to seek refuge in Bangladesh. This mass migration is now one of the largest humanitarian crises in the world. Our support to all those affected by this crisis is a true partnership. The world owes Bangladesh a debt of gratitude for its generous welcome to these beleaguered people. This has not been without cost, particularly for the local communities of Bangladeshis who live near Cox’s Bazar, now home to the largest refugee camp in the world. We all recognize that a long-term solution must be identified soon, but, right now, the very survival of these families depends upon the help and assistance of the international community. One profound memory of my recent trip comes from outside the Kutupalong refugee camp. 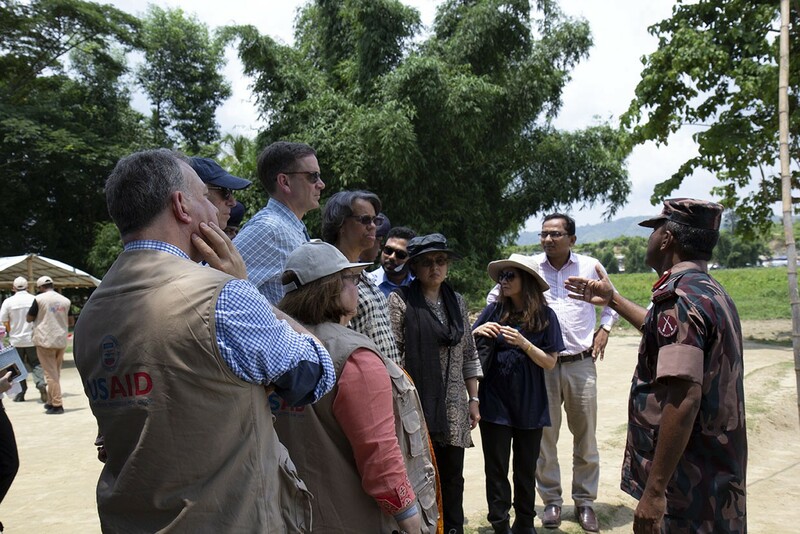 My team and I drove to a border crossing where thousands of people are living in a makeshift camp in an area deemed “No Man’s Land” — past the newly constructed Burmese border fence, but not officially in Bangladesh. We met with members of the Border Guards Bangladesh (BGB), an impressive team charged with a challenging mission. I spoke for a long while with a colonel who arrived at the post just weeks before the exodus in August of last year. He told me that on that day he woke up to gunfire and explosions. When he looked outside, he saw hundreds of people fleeing. With no direction from his superiors, this colonel reacted in the most humane way possible: He welcomed in the desperate people. He knew that it might put his job at risk, but as he heard landmines exploding and saw smoke from burning villages rising into the night sky, he knew that his compassion would be the difference between life and death for many people. The United States commends this colonel, the BGB officers who are working tirelessly along the border, and the many unsung Bangladeshi heroes on the front lines of this crisis, whose generosity and open-heartedness are saving lives every day. About the Author: Mark Green is the Administrator of USAID. Follow him @USAIDMarkGreen. Our development efforts advance American interests by promoting global security, prosperity and self-reliance. Editor's Note: This entry originally appeared in USAID's 2030: Ending Extreme Poverty in This Generation publication on Medium.